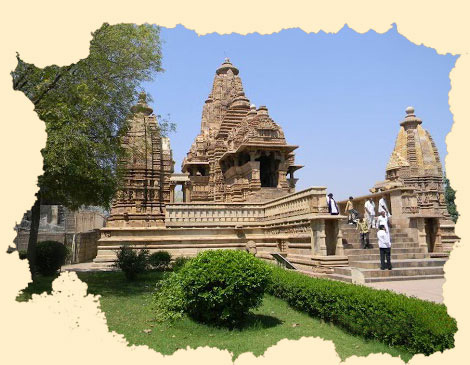 The Khajuraho Group of Monuments is a group of Hindu and Jain temples in Madhya Pradesh, India, about 175 kilometres. 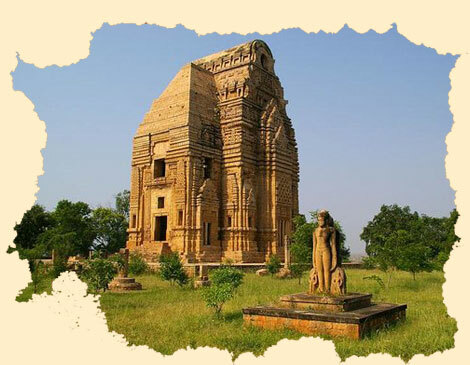 Most Khajuraho temples were built between 950 and 1050 by the Chandela dynasty.Historical records note that the Khajuraho temple site had 85 temples by 12th century, spread over 20 square kilometers. Of these, only about 20 temples have survived, spread over 6 square kilometers. 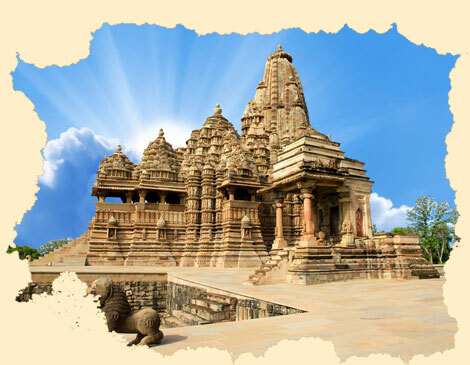 Khajuraho Temples History : Madhya Pradesh is land of great antiquity. 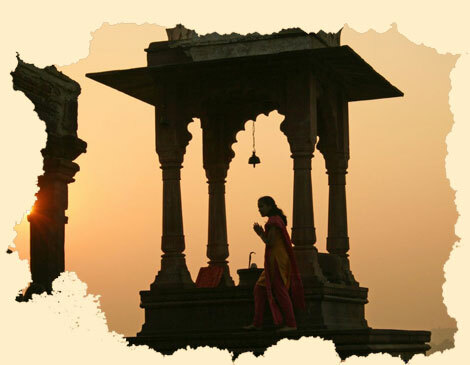 Madhya Pradesh is the home of monuments representative of various periods of history. 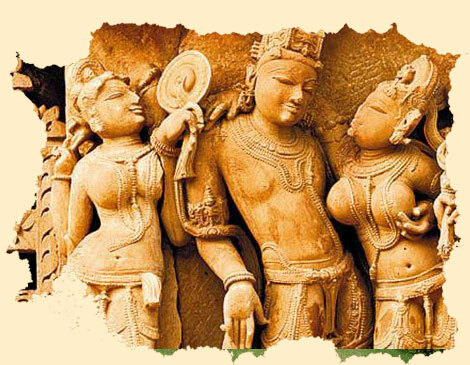 Among most popular world heritage sites of Central India like Rock paintings, Buddhist Stupas and Temples, Khajuraho is known for its ornate temples that are spectacular piece of human imagination, artistic creativity, magnificent architectural work and deriving spiritual peace through eroticism. The Sanchi Stupa is a huge semi-circular, dome shaped chamber in which the relics of Lord Buddha are kept in serene calmness. It is a brick construction that dates back to the third century A.D. This chamber is about 16.5 meters tall and 36 meters in diameter. 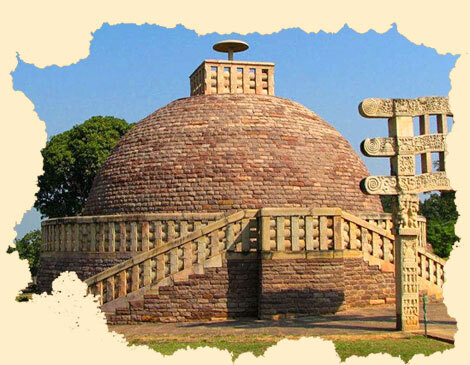 Sanchi Stupa carries a rich heritage of architectural dignity. It is the most stunning Stupa that has been exuding a divine charm over the centuries. It is a sacred place enriched with harmony and peace. 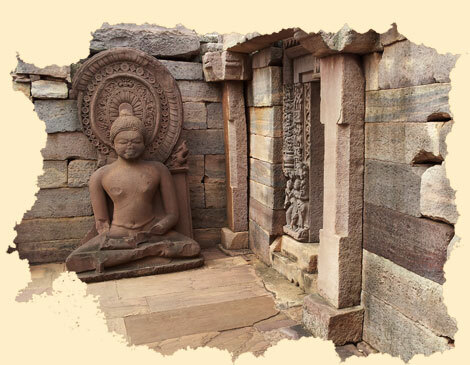 The foundation of the Buddhist vihara at Sanchi that includes the great Sanchi Stupa was laid by one of the greatest Indian Emperors, Ashoka of the Maurya Dynasty who reigned over almost the entire Indian subcontinent from c. 268 to 232 BCE. He commissioned construction of the Stupa here after redistributing the mortal remains of Lord Buddha so as to build several Stupas in different locations across India to spread Buddhism. The present hemispherical edifice is double in diameter of the original brick structure built by Ashoka, consisting of the relics of Lord Buddha. 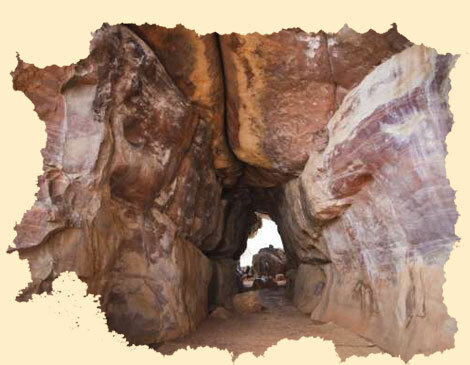 The Bhimbetka rock shelters are an archaeological site of the Paleolithic, exhibiting the earliest traces of human life on the Indian subcontinent. 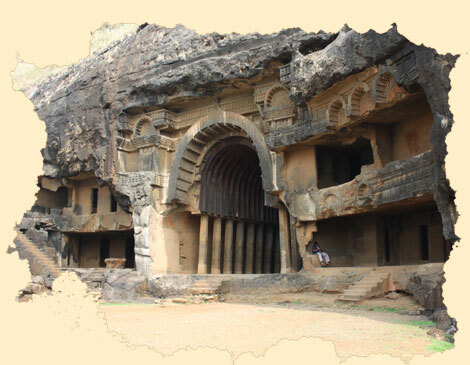 The Rock Shelters of Bhimbetka are located about 45 km south east of Bhopal on the road to Hoshangabad. 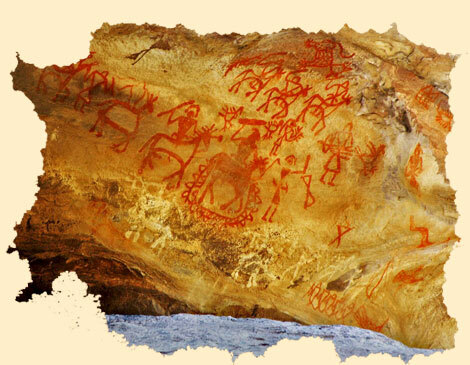 The site spread over 10 km in length and about 3 km in width has more than 700 rock shelters, of which over 400 have paintings. They were discovered and revealed to the world by V.-S. Wakankar from 1957 onwards. Bhimbetka, set in the Vindhyan range of central India. The Mesolithic culture at Bhimbetka continued much longer as understood by the presence of Chalcolithic potteries in otherwise Mesolithic contexts. By the Early Historic times it appears that interaction with the surrounding cultures became more pronounced. 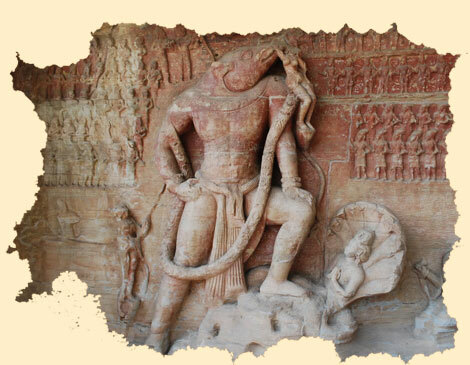 Excavations carried out at Bhimbetka have revealed occupational deposits ranging from the Acheulian to Historical times. 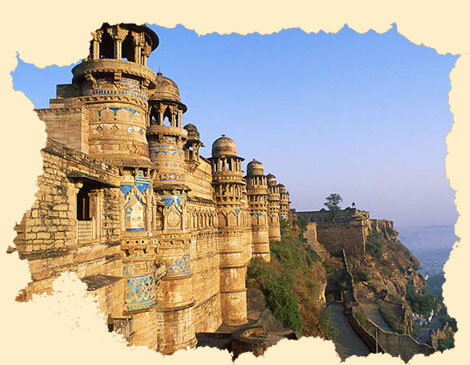 Gwalior was the winter capital of the state of Madhya Bharat which later became a part of the larger state of Madhya Pradesh. 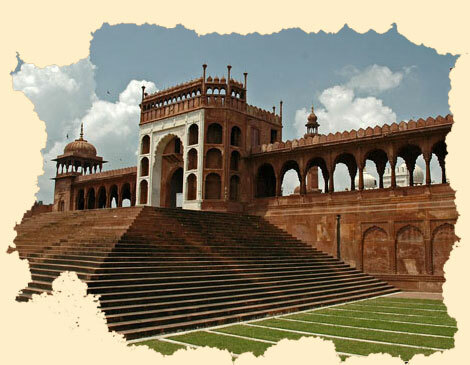 Famous for its medieval hilltop fort, and described by Mughal emperor Babur as ‘the pearl amongst fortresses in India’, Gwalior makes an interesting stop en route to some of the better-known destinations in this part of India. The city also houses the elaborate Jai Vilas Palace, the historic seat of the Scindias, one of the country’s most revered families. Explore the serene surroundings at the historical city Gwalior while visiting the Gwalior Fort (5km), Sun Temple (5km) or the Museum (3km). 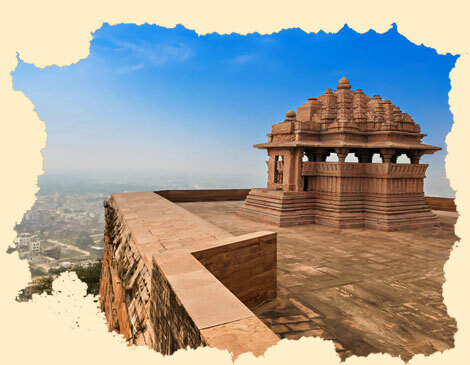 Treat yourself to the picturesque environs of the city of historical places and visit the enchanting land of the Gwalior. There’s nothing like experiencing stress-free leisurely moment away from the hustle and bustle of daily life. 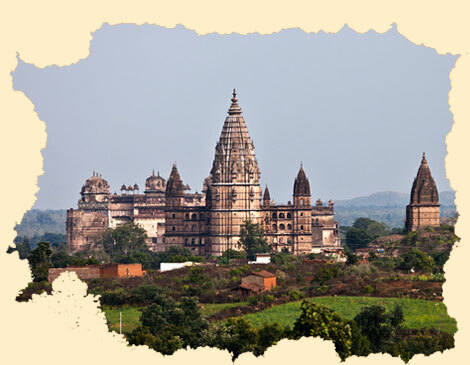 Orchha literally means ‘hidden place’ and it stays true to its name, Located in Madhya Pradesh. 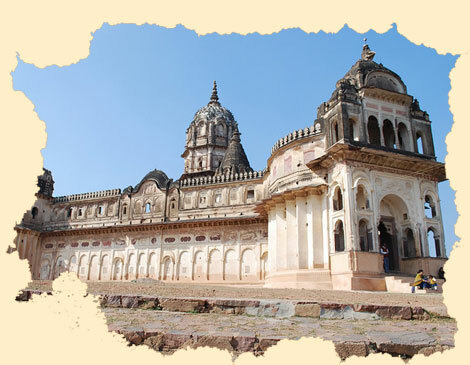 The Orchha fort complex is the biggest tourist draw of this small town. 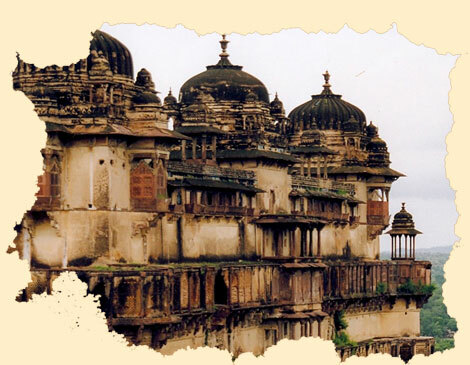 Orchha, the capital of the mighty Bundela Rajput kings, spells history almost in every part of the city. 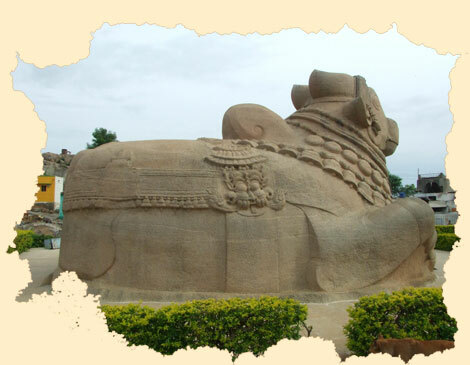 The monuments here retain the historic touch to give tourists an insight into its rich past. On a seasonal island on the bank of the Betwa River, which has been surrounded by a battlement wall, stands a huge palace-fort. 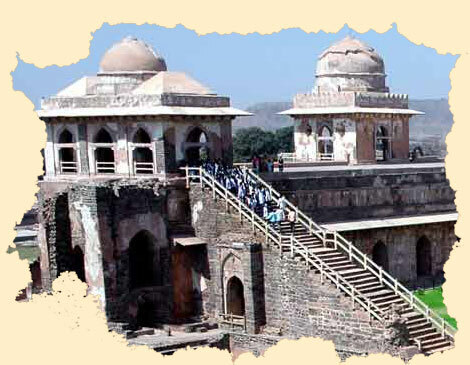 The fort consists of several connected buildings erected at different times, the most noteworthy of which is the Raja Mahal. The three most important palaces seen here are Jahangir Mahal, Raj Mahal and the famous Rai Parveen Mahal. Jahangir Mahal reflects the architectural splendor that prevailed in Orchha in the past. 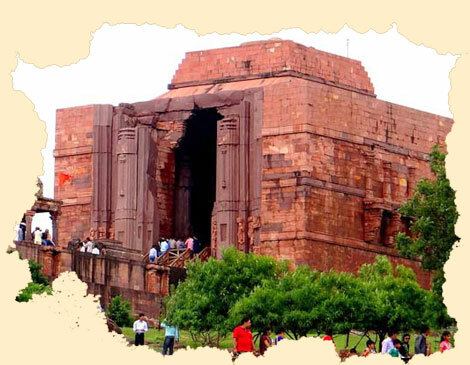 Bhojpur is situated on the Betwā River, 28 km from Bhopal, the state capital of Madhya Pradesh. 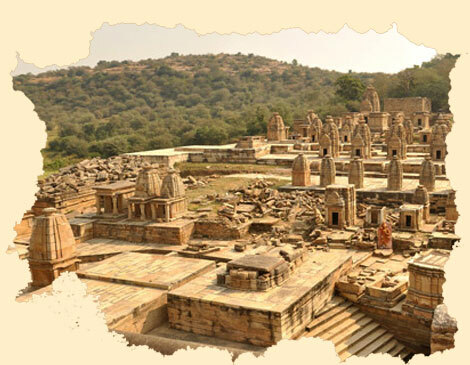 The site is located on sandstone ridges typical of central India, next to a deep gorge through which the Betwā River flows. Two large dams, constructed of massive hammer-dressed stones, were built in the eleventh century to divert and block the Betwā, so creating a large lake. The approximate size of the lake is shown in the site plan given here. 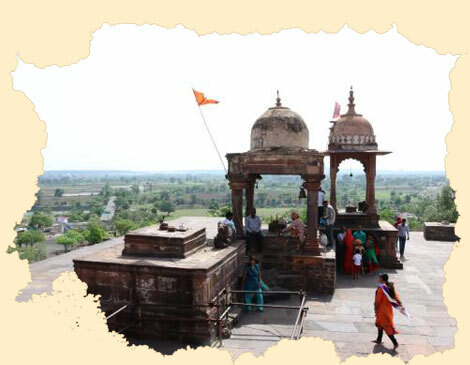 Bhojpur is a famous huge heritage active temple of lord Shiva in Madhya Pradesh state. 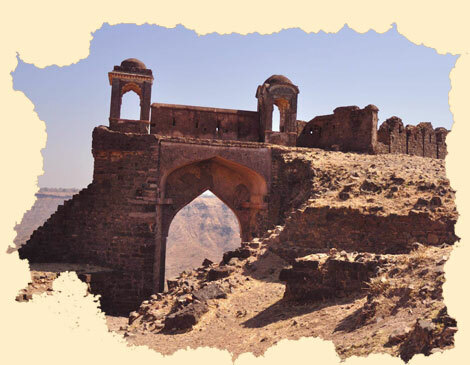 It was founded by the Parmar king of Dhar, Raja Bhoj (1010-53) and was named after him. 28 km from Bhopal, Bhojpur is famous as an archeological site because of its magnificent remains of Shiva Temple and Cyclopean dam. The Shiva Temple has earned the title of the Somnath of the East and is called Bhojeshwar Temple. 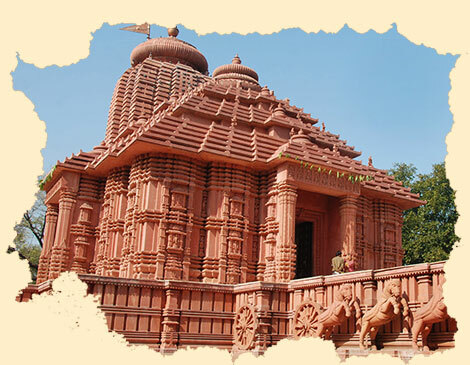 The temple is a simple square with outside portion of 66 feet, there are no re-entrant angles usual domes, though it is incomplete but has a magnificent soaring strength of line and is supported by four pillars. Like dome the pillars are also massive but they retain a remarkable elegance due to their tapering form. Divided into three sections the lowest is an octagon with facets of 2.12 feet, from which springs a 24-faced section. Mandu or Mandavgad is a ruined city in the present-day Mandav area of the Dhar district. The city of Mandu is adorned with spell-binding Afghan architecture surrounded by baobab trees. 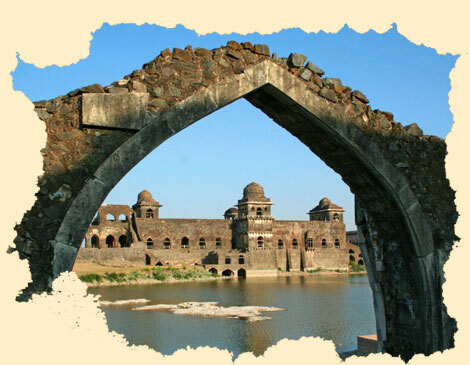 A walk through Mandu will leave you awe-struck, the way you used to be listening to stories from grandparents. Mandu, due to its strategic position and natural defences, was an important place with a rich and varied history. It was an important military outpost and its military past can be gauged by the circuit of the battlemented wall, which is nearly 37. The wall encompassing Mandu has 12 major darwazas or gates. The present road, through which Mandu is reached passes through many of these. Also encountered are smaller gateways built to provide protection to the above-mentioned 12 gates. Bhopal has an average elevation of 500 metres (1401 ft). 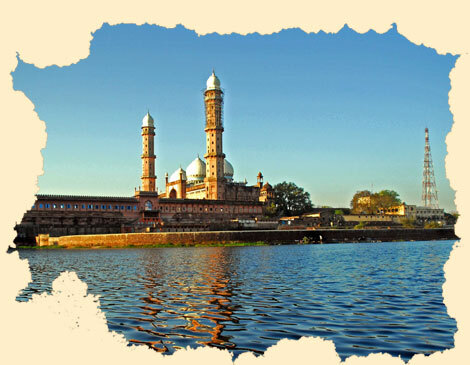 Bhopal is located in the central part of India, and is just north of the upper limit of the Vindhya mountain ranges. Located on the Malwa plateau, it is higher than the north Indian plains and the land rises towards the Vindhya Range to the south. The city has uneven elevation and has small hills within its boundaries. The prominent hills in Bhopal are Idgah hills and Shyamala hills in the northern region, Katara hills in southern region. City's geography has in it two lakes namely upper lake and lower lake. 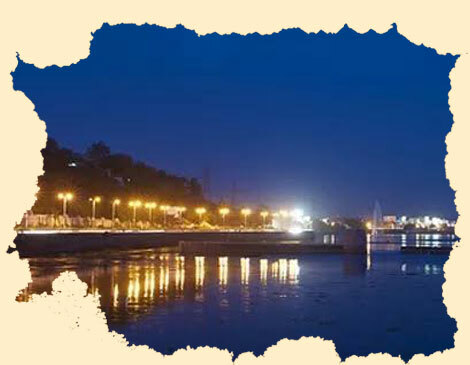 Split by a pair of lakes, Bhopal is two cities within a city. Towards the North you have the old city, a fascinating area of mosques, serpentine alleys, chowks, milling crowds, exotic havelis and crowded bazaars. South of the two lakes is the new Bhopal. Modern, with wide roads, upmarket shopping complexes, and plush hotels and restaurants nestled comfortably in the Arera and Shamla Hills, which overlook the lakes and the old city beyond. The central district is known as New Market. Both Bhopals enamour you in their own way and vie to bring out the child within you.